Wonderful welcome, brilliant location, good facilities. Superb value. Very happy. When would you like to stay at YHA Littlehampton? For a family holiday in the South East, try this cosy 4 star hostel - ideal for a bucket and spade, Sussex seaside break. 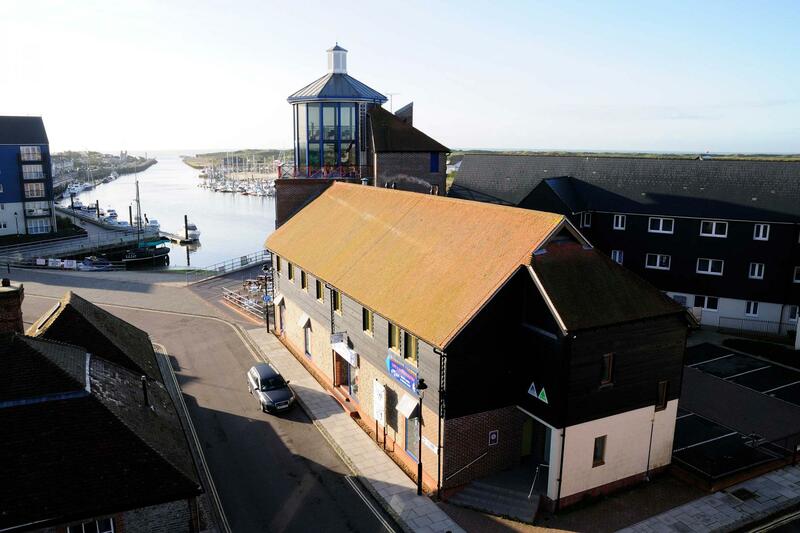 Just five minutes’ walk from a Blue Flag beach, YHA Littlehampton is part of the redeveloped Fisherman’s Wharf. If you're only here for a weekend break, don't miss the Harbour Park Amusement Park. Head along the coast to Brighton, pay a visit to Arundel Castle or Arundel’s Wildfowl and Wetlands Trust for great days out. Chichester with its majestic Cathedral some 20 minutes away. Located on the first floor of the Look and Sea Centre this self catering hostel has eight bedrooms, six of which have en-suite facilities. YHA Littlehampton is a self catering hostel. There are supermarkets and a number of other places to eat nearby. The self-catering kitchen at YHA Littlehampton has two electric ovens, two fridges, two toasters, two kettles and two microwaves plus enough crockery, cutlery, pots and pans for you to cook up a delicious meal for up to 34 people. The sweeping coast line is great for anyone wanting a leisurely stroll along the beaches. There's a whole host of watersports available nearby including surfing, sea kayaking, a windsurfing and kite surfing school and a yacht club offering sailing tuition for all abilities. Right on the beach with spectacular views, this award-winning iconic building serves local and seasonal produce all year round. Parking : There is limited free on street parking but ample paid parking. Pets: Pets are not permitted at YHA Littlehampton. Assistance dogs are welcome. Open every day? : Yes. 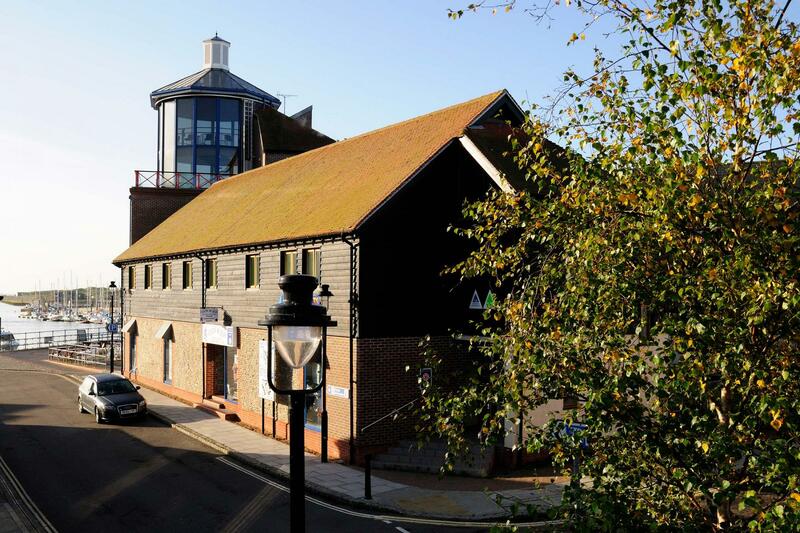 YHA Littlehampton is also available for YHA Exclusive Hire at weekends from November until the end of February. To enjoy YHA Littlehampton for just you, your friends and family visit our YHA Exclusive Hire website and hire out the whole property. Available for group bookings from autumn through to spring. YHA Littlehampton is part of the redeveloped Fisherman’s Wharf YHA Littlehampton forms part of the popular Look and Sea centre located on the banks of the Arun river. A lot of work is being done for flood prevention and the entire seafront and adjoining areas is in for a major facelift. The Youth Hostel has been in operation for 12 years but has only been open throughout the year for the last three years, previously being closed during winter months. YHA Littlehampton is Very centrally located for transport, shopping and for the seaside and has been recently re-carpeted and painted. Les Snyman is the hostel manager. From a corporate financial background, he has now been with the YHA for five years. Les is in his third year in Littlehampton and is proud of his little hostel and has a passion for keeping the it neat, tidy and friendly. Manager recommends: If you're enjoying a family seaside break, don't miss Littlehampton’s West Beach. Quieter than the East beach, and totally undeveloped. Take the ferry across the Arun river to this perfect setting for a summer evening swim or a stroll through the sand dunes.